Glad to Go Review | Product Review on Glad to Go! There are a lot of products on the market that we try, and recently we had the chance to give Glad to Go a good go. They’ve developed lunch containers that keep your foods fresh without having to use the sauces first thing in the morning, or having an additional container in your lunch pail. For us, we use lunch containers daily. It is a must in our homes with kids going to school every day, Papa having to eat lunch at work. So when we have the chance to find something that makes having sauce in our lunches a little easier, we get excited! 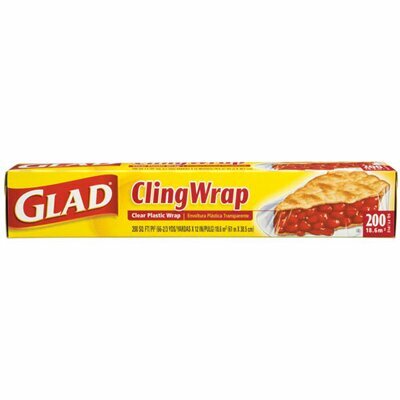 Check out our review on the latest Glad product now! The containers are designed to be able to fit a single serving of salad and have a dressings cup that snaps onto the inside of the lid. This not only minimizes another containers rolling around in your lunch box, but also minimizes on another lid and unneeded plastic. The dressing cup attaches easily and detaches easily, so you don’t have to worry about spills trying to get on and off. The container has been designed to be of quality size. You can easily fit in a good sized salad with your dressing cup still attached in. It also works great with fresh chopped fruit or veggies, having your own special little dip to coincide them! The dressing cups can be used with most glad containers. Food to go the easy way! 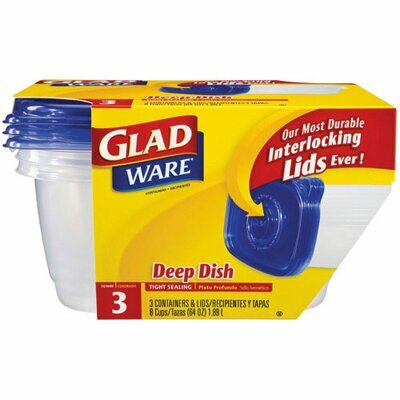 Glad to go cups are sturdy containers that create a tight seal to lock in freshness and prevent messy leaks. And an ingenious design feature includes 1.5 ounce containers for dressing, sauces or dips that snap right into the lid of the larger container! The snack size comes in a pack of four 24-ounce containers with four 1.5-ounce container cups. Place one lid on a flat surface and a second lid of the same shape on top. Gently press down on the button in the center of the top lid until you feel the two lids connect. Repeat this process to lock additional lids of the same shape onto the stack. Overall, these containers were a great addition to our collections. They worked great with both adults & kids. Allowed us to pack healthier lunches and in the end, something we’ll use over and over again.